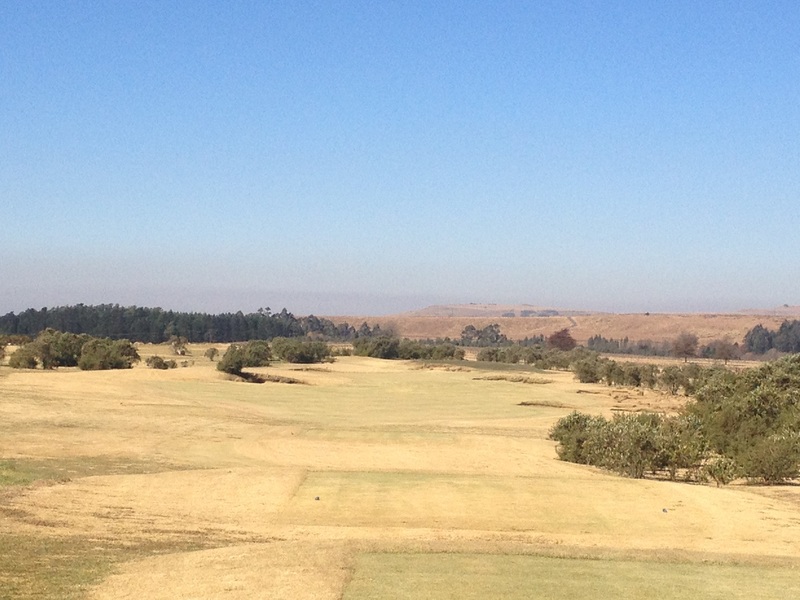 Gowrie Farm is a 9 hole course set in the picturesque Kwa-Zulu Natal midlands just off Nottingham Road. Although the course claims to only have nine holes, there were 18 different tee boxes and 12 greens. 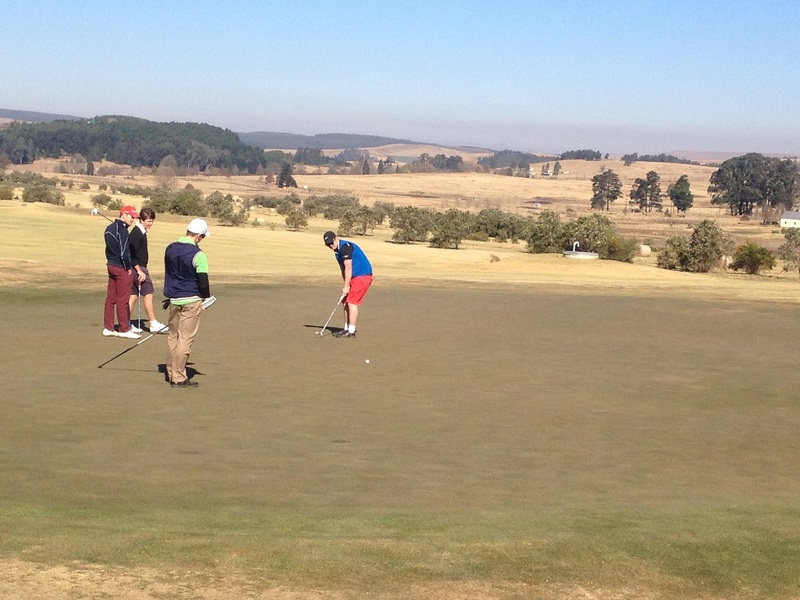 The course layout is very confusing the first time around, but once you get into the swing of things, Gowrie Farm is one of the most enjoyable courses we have ever played. It has even been ranked in the top 30 short courses to play anywhere in the world, outside America. For a nine hole course, the fact that it made it into the top 50 courses (49) in South Africa shows the quality of the layout. 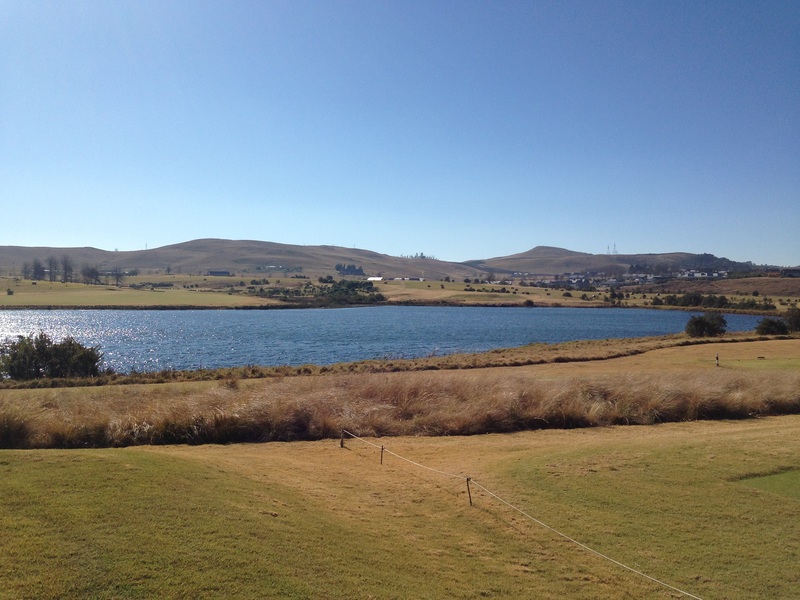 Without wind, Gowrie Farm would be an easy round of golf, the course is manageable, short and has very wide fairways for the most part. The par 3s are played with short irons, the par 5s are reachable and there are even one or two drivable par 4s. The problem is, the wind plays a huge part in what makes this course so challenging. The winter’s morning we went out and played a round, the wind was at its wicked best. We had to punch long irons under the wind on the short par 3s, to avoid being swept away, two huge shots on the par 5s still left us with a long iron approach for our third and the reachable par 4 required us to choke back on a 3 wood in the hope we wouldn’t overshoot the green by two much. The course is difficult in the wind, yet still completely enjoyable. It is not extremely expensive and is a five star golfing experience. 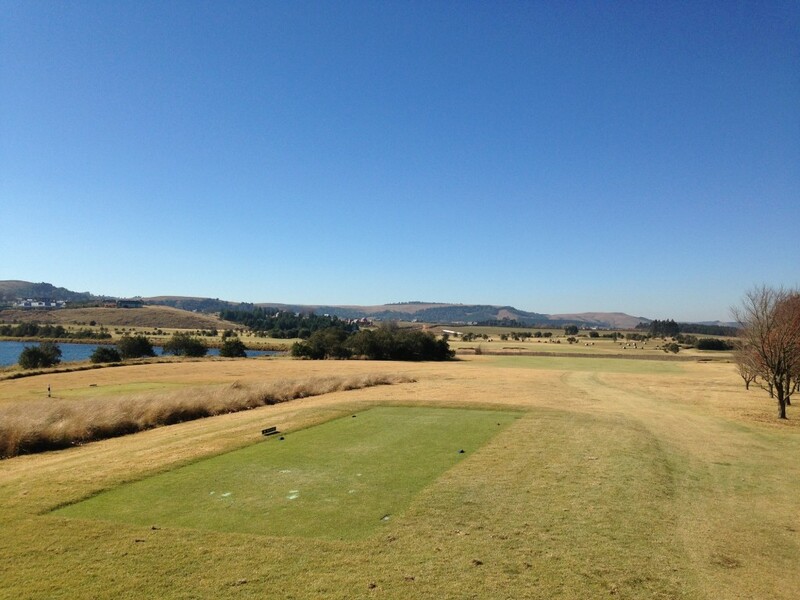 When you step onto the tee box of a par 4 and the marker reads 278m, you would assume that the hole is a drivable. Nothing could be further from the truth with the 9th hole. On the tee, you generally play directly into the wind. All to your left is water, and the right hand side of the fairway is guarded by a bunker. The hole is shaped like half a horse shoe and doglegs sharply from right to left. Going for the green in one would require a very bold shot, almost completely over water, with no bail out off the tee, except for a small landing area used as the layup zone for the par five 18th hole to the left of the green. If you take the sensible option and go for the fairway, the bunkers on the right now come into play. The approach to the green is over water and the putting surface is small. The head wind now becomes a cross wind and pushes errant approaches towards the big body of water. Because of the short length, the hole is still not incredibly difficult if managed properly and the stroke 5 difficulty means points can be scored. It is possible to make par here and most golfers would be more than happy with that. Sharing a fairway with the short par four 9th hole, the 18th is a booming par five, with two tight landing zones and plenty of water in play. Because it doesn’t share a tee box with the 9th, the hole plays completely differently. Instead of teeing into the wind, the wind generally comes from right to left, pushing your ball away from the fairway bunker towards the bountiful body of water. If you find the short grass you are left with two tough choices. Attached the green, over 240 or more meters of water, or choose to lay up to a small area of fairway just over the 9th green. The almost island fairway layup is guarded by trees right and water and reeds left. This par 5 is a nearly perfect example of what makes golf so much fun. There is reward for the brave, but danger too, and there is reward for the cautious too, yet still enough danger on playing safe that you almost feel obliged to risk it all. A good round can be made or lost on your second shot alone. It is the 4th hardest hole on the course with a high degree of difficulty, but birdie is achievable and there are points on offer to finish up.